We were on a hunt for the top flower shops in Seattle and we found Fleurt, a shop that specializes in wedding and event flowers but crafts some amazing flowers for the home and office too. We thought we’d dedicate an entire post to Fleurt to tell you about all of the shop’s offerings and to give you a bit of background into the shop’s founder. Fleurt is definitely a florist we’ll be turning to when we’re visiting Seattle and need flowers for our hotel room, or when we want to give flowers to someone in the area. If you live in Seattle, we think you might want to check out Fleurt for your flower needs, whether they involve formal dinner parties or something much more casual. If you know someone who lives in Seattle, and you want to send him or her flowers, call Fleurt! They deliver fresh flowers seven days a week. Fleurt’s owner, Sam Crowley, opened the flower shop in 2010 in a charming 1920’s brick storefront. From the start, she was the lead designer for Fleurt and she infused her past experience in the fashion and home decor industries to make floral creations that where the perfect for Fleurt. Each arrangement you’ll find at Fleurt is a unique combination of whimsy and natural elegance. Crowley also wanted to bring a distinctive personality to her flowers, which we think she’s absolutely done. She’s incorporated fun character into everything floral, and she’s brought it to her West Seattle store’s design. 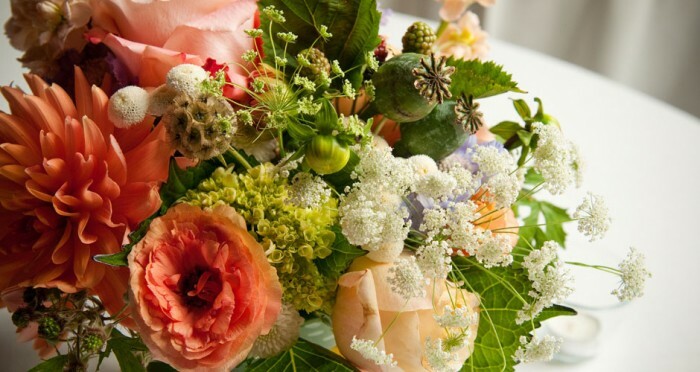 When you visit Fleurt, you’ll immediately notice the playful blooms that spill out of the shop, showcasing Crowley’s easy-going nature and the day’s best fresh blooms and foliage. You’ll find many of Fleurt’s prettiest floral creations sitting on a flower bar inside of the shop, including some beautiful arrangements that contain berries and branches. Other pieces of floral art on display offer a mixture of pods and exotic blossoms. Fleurt’s uniquely selected, and curated, blooms set the shop apart from other Seattle florists. Simple, yet stunning, is what we see when we look at Fleurt. We can immediately sense Crowley’s passion for what she does, and what she wants to give to the Seattle community, when we view her designs. If you want to browse some of Fleurt’s creations, we suggest you head over to the Fleurt website, unless you live in Seattle and then you should pop in to take a look. Fleurt sells pretty home decor items too, so don’t be surprised if you find yourself going home with one of those. Couples planning nuptials, Seattle-based celebrities, and just flower-loving folk living in Seattle love Fleurt’s stunning offerings. Seattle Magazine, Seattle Bride, and Metropolitan Bride and Groom magazine, among other publications, have all featured and praised Crowley and Fleurt. We were on a hunt for the top flower shops in Seattle and we found Fleurt, a shop that specializes in wedding and event flowers but crafts some amazing flowers for the home and office too.We thought we’d dedicate an entire post to Fleurt to tell you about all of the shop’s offerings and to give you a bit of background into the shop’s founder. Fleurt is definitely a florist we’ll be turning to when we’re visiting Seattle and need flowers for our hotel room, or when we want to give flowers to someone in the area.